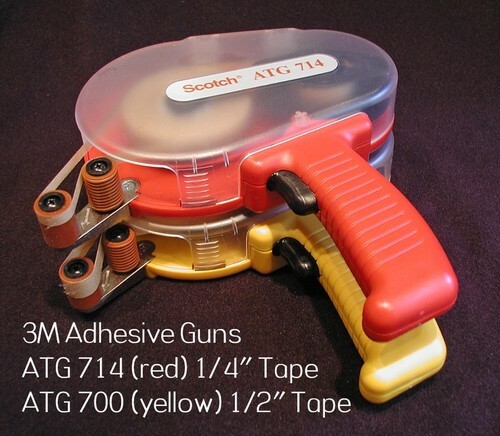 Many of you have been asking me what an ATG Tape Gun is. Here are the two I use on a daily basis. The red houses 1/4" adhesive and the yellow 1/2".